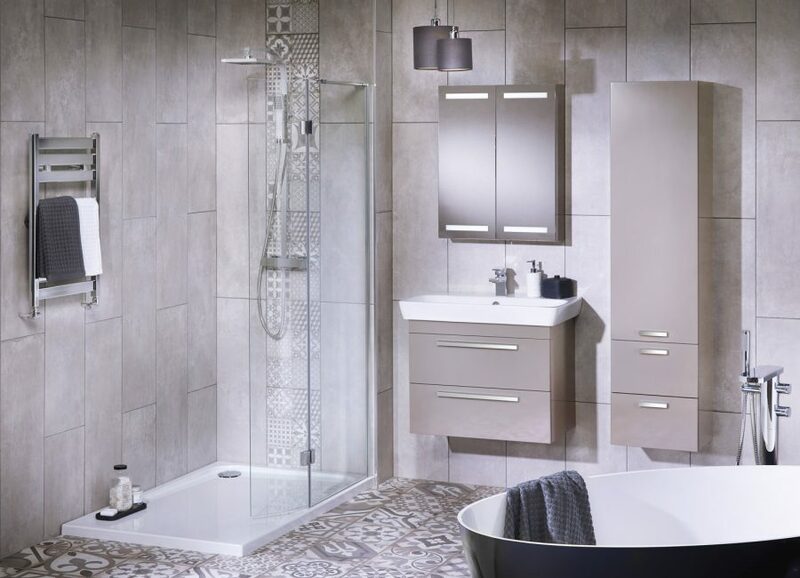 If you are in the process of planning your new bathroom and only have space for a shower or bath, which one do you opt for? Typically most bathrooms can accommodate a standard bath. In general this tends to be 1700mm long x 700mm wide. By installing a shower over the bath at one end and fitting a shower screen would seem to be the most practical solution. However, in an ideal world many of us would choose to have a more spacious shower enclosure, perhaps with the added benefit of both a drench head shower and separate handset. Equally, a freestanding bath can look amazing in a bathroom where space permits, but realistically the majority of us simply don’t have the available space for one. Plus, trying to fit a shower over one is virtually impossible, both from an installation point of view and from trying to contain the water within the bath! It’s a question commonly asked and ultimately there is no right or wrong answer. Your requirements now may be very different from your requirements in five years time and you might not even be in the same property, so a certain amount of future proofing would be prudent. How many people are using the bathroom, especially in the morning rush? A shower would seem like the obvious choice to ease the congestion of a busy bathroom, but after a long day at work, it doesn’t get much better than unwinding in a steamy bath. And for many working parents with young children, bathtime is an essential part of a child’s routine. The interaction during this one-to-one time may be the only dedicated quality time the parent has with their child. Is you home realistically only suitable for a singleton or couple, or could a family happily live there? A shower enclosure is ideal for a compact bathroom, taking less floor space overall, but if a property could be used by a family, then keeping a bath is a given must. Equally as we get older and less able, getting in and out of a bath becomes more tricky, whereas a shower enclosure is much easier. There’s no denying that a shower will take less water consumption than a bath, but it may come as a surprise that some power showers pump so much water that they use nearly as much water as it takes to fill a bath! If you’re in any doubt as to which route to choose, why not ask your chosen dealer for their opinion… who knows, they might just be able to plan your bathroom and fit in a bath and separate shower enclosure after all!